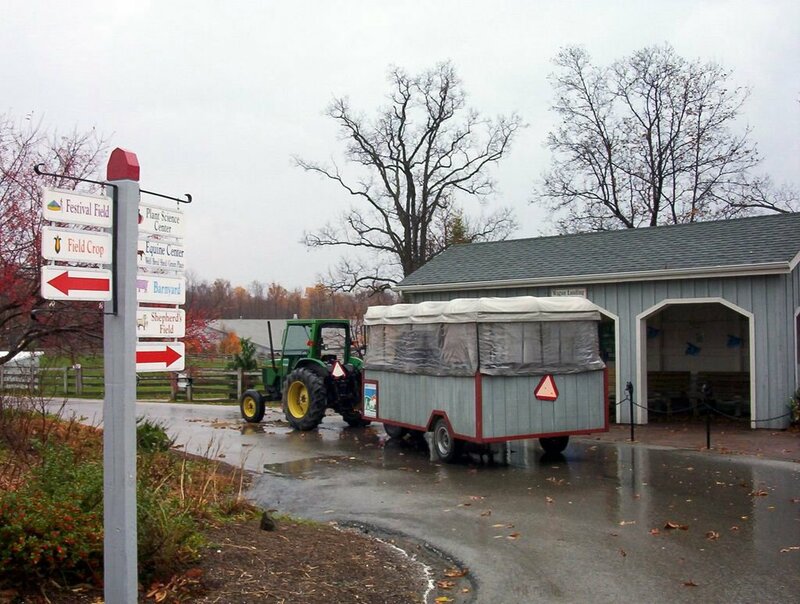 At Lake Farmpark "you can milk a cow, take a wagon ride, and discover over 50 breeds of farm animals up close." 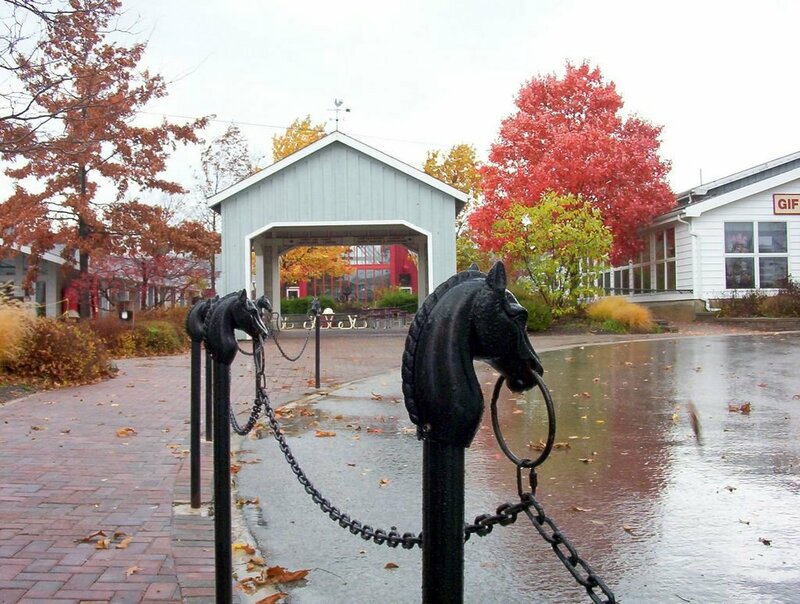 The entrance of Lake Farmpark in Kirtland, Ohio. 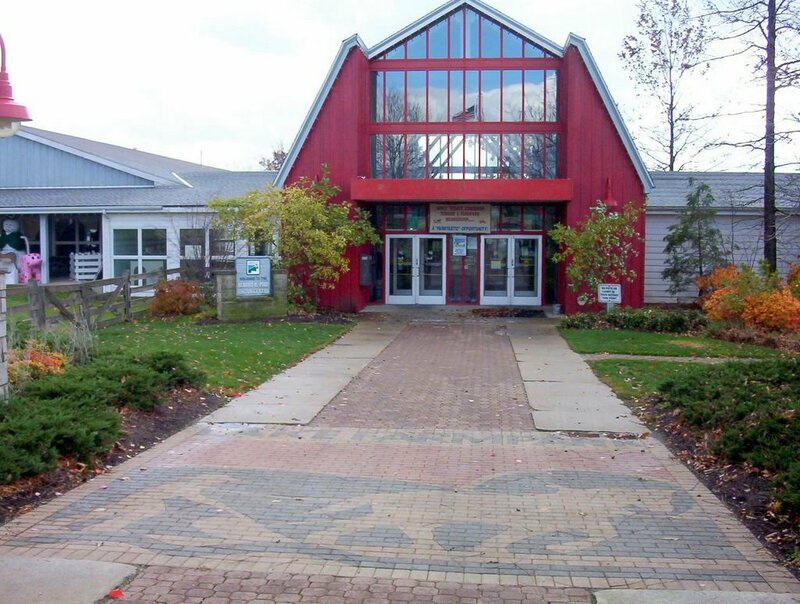 This is the main office where you can get a map of the farm and plan your visit. 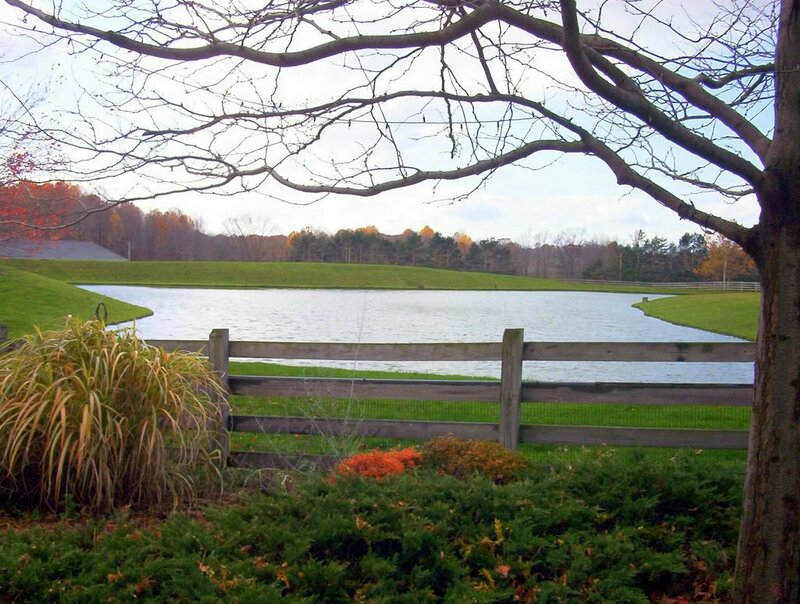 There are several artificial lakes on the farm property. 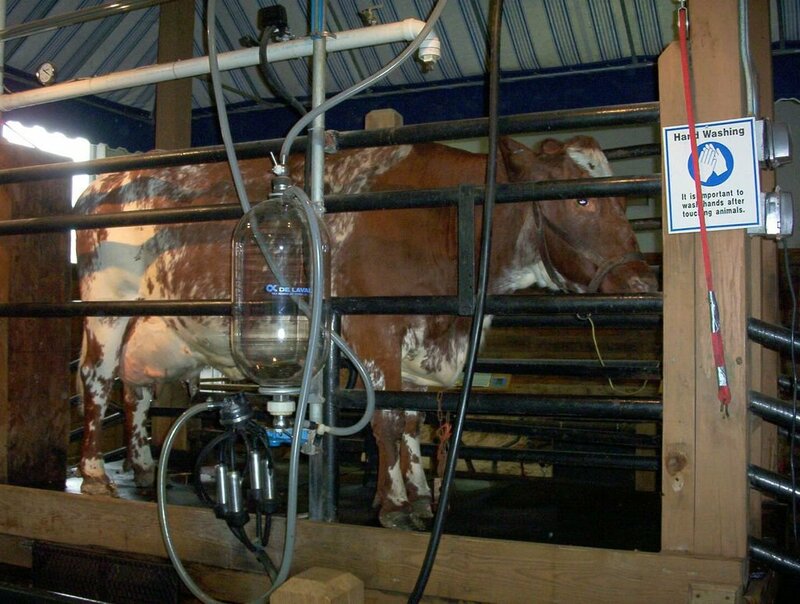 Milking the cow is one of the main attractions for the kids at Lake Farmpark. 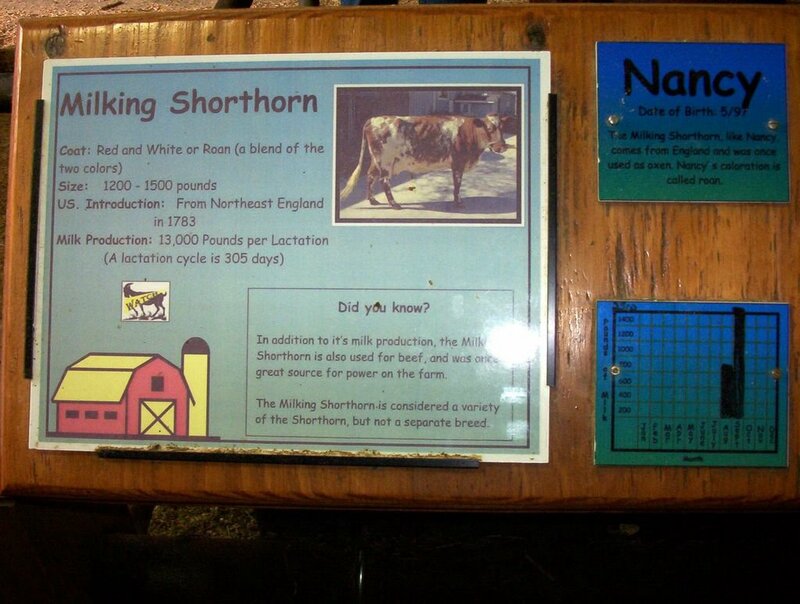 The cow in the picture is called Nancy and it belongs to a vary rare breed called Shorthorn. 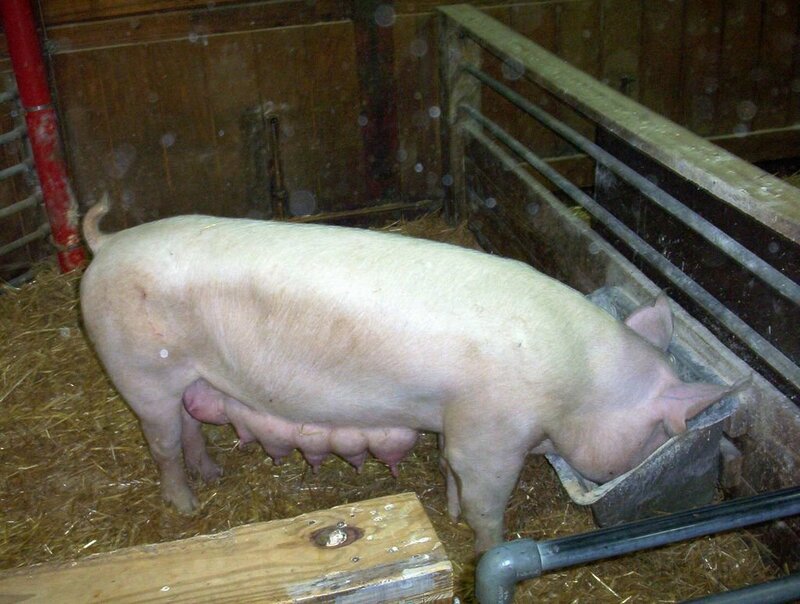 It is a triple use breed - used for milk, transport and meat but strangely enough, there are only about 1500 animals left in the USA. 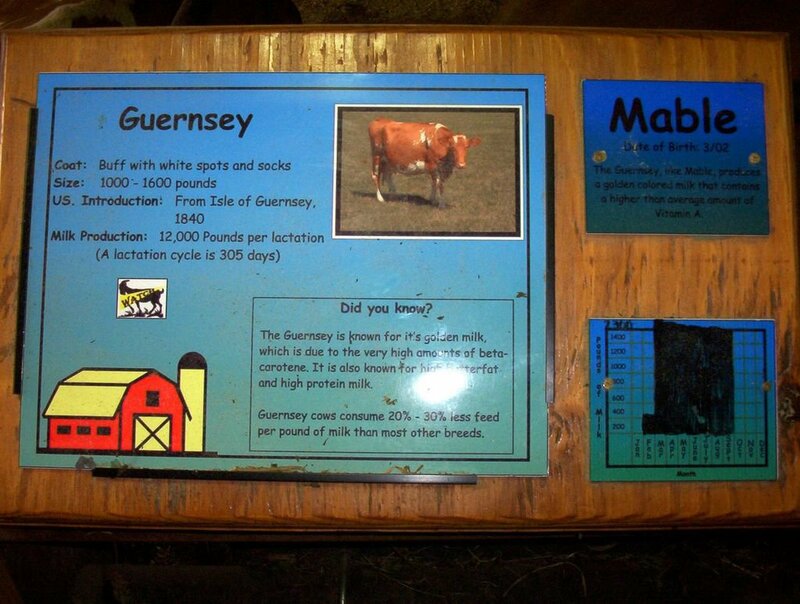 Guernsey is a cow known for its golden milk, which means that it has a yellow hue due to the high content of beta carotene. 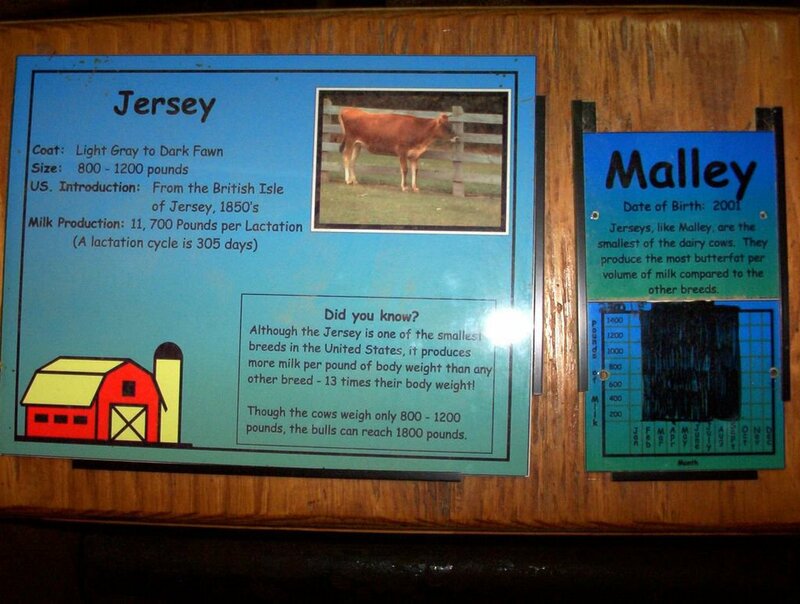 Jersey is another unique breed, one of the smallest cows but it produces the most milk per pound, in other words, it is very efficient. How much milk does one cow give per day? 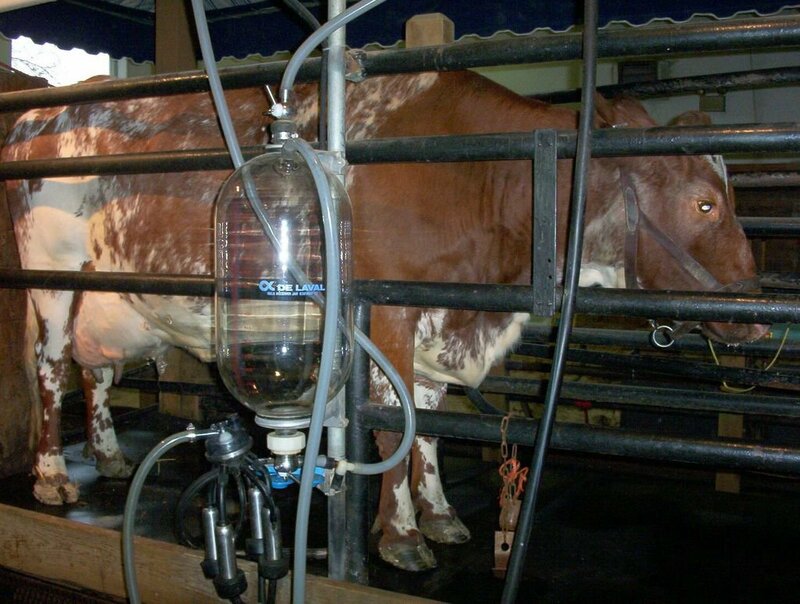 Nancy gives 10-15 gallons per day and all of it goes to a cheese manufacturer in the county. 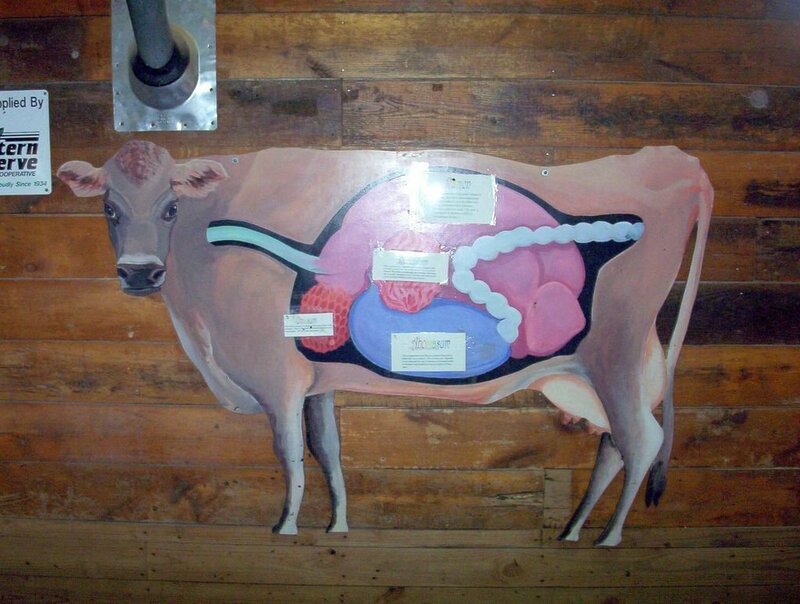 Cows are ruminant animals. 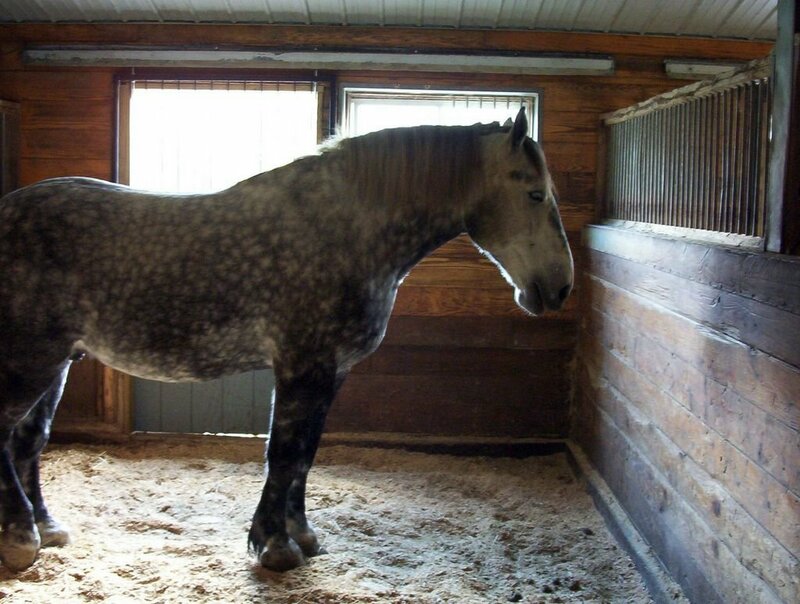 First they eat hay and other forms of dry food and become very thirsty, then they drink 20-30 gallons of water. 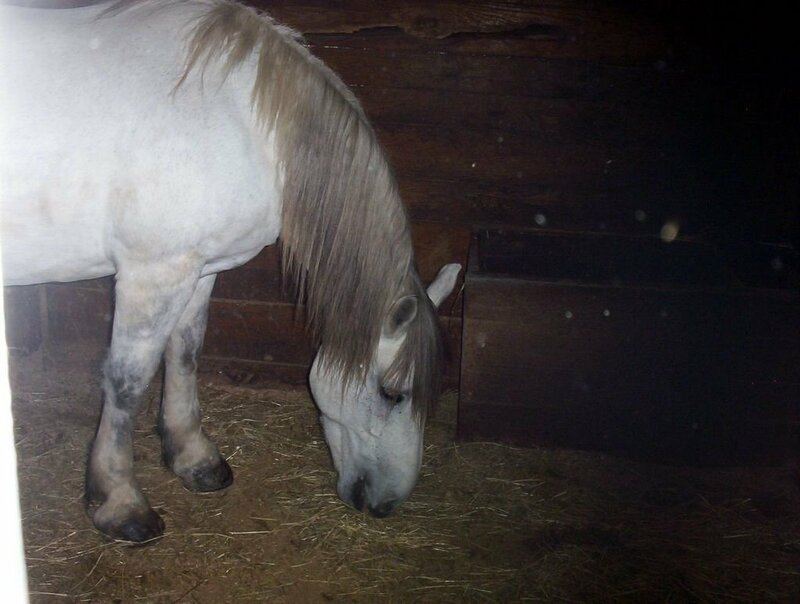 First, food goes to a pre-stomach, from there it is send to another structure where it is converted to fist-size balls of chewed food which is transported back to the mouth for re-chewing. Then, this ready-made food is finally swallowed in a "third stomach" where it is absorbed. Listen to The Food Programme by BBC about Milk and Dairy. 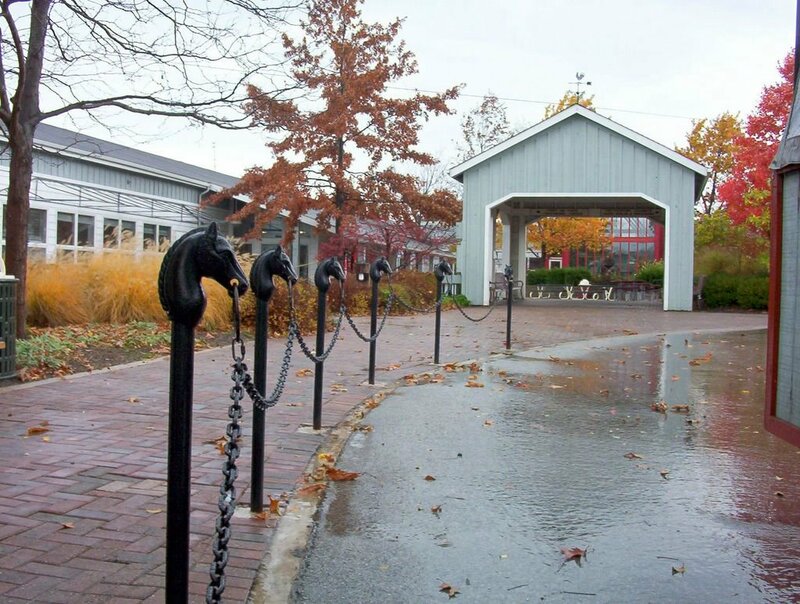 Let's get the cart to the Barnyard and Equine Center. 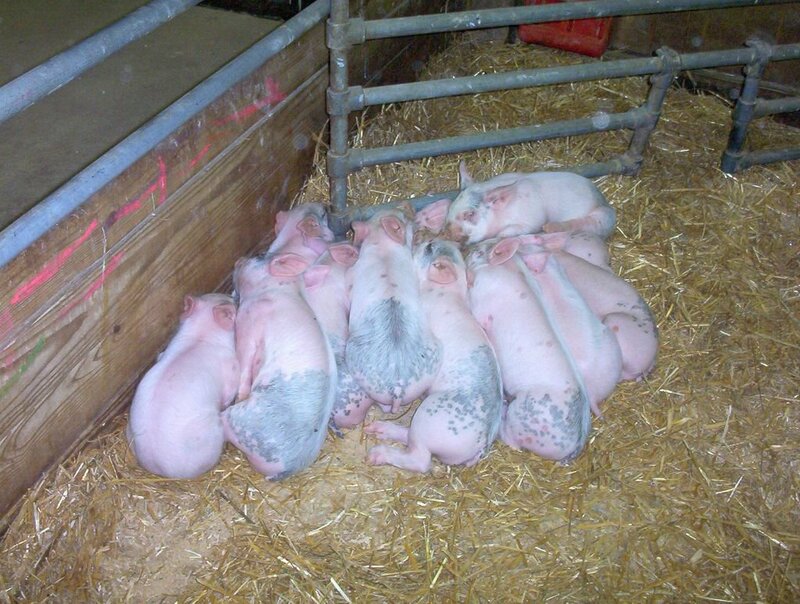 There were 11 newborn piglets - happy, pink and sleepy, as you can see. Their mother is from the Yorkshire breed. 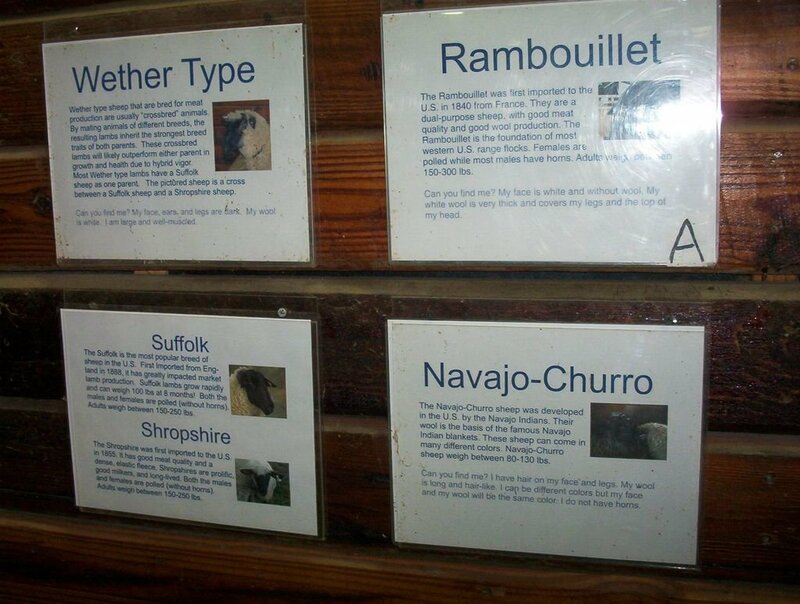 There are several different breeds of sheep on the farm. 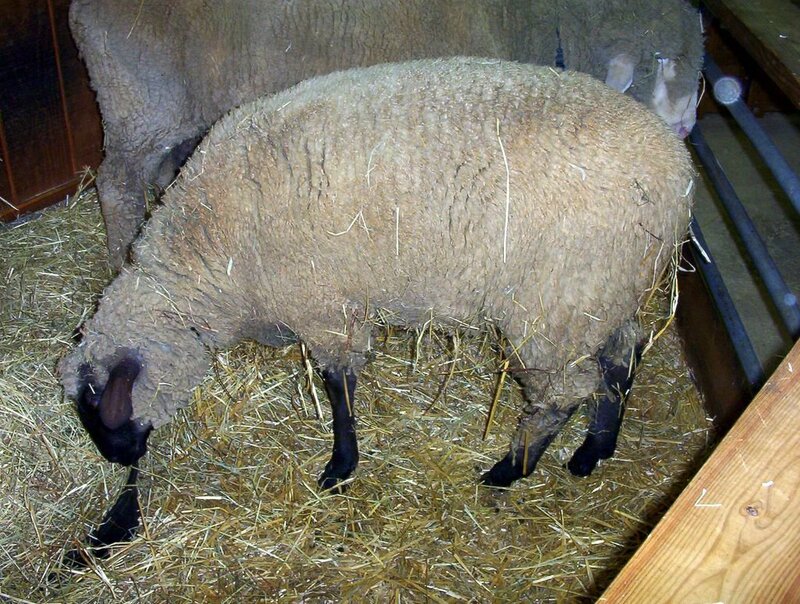 Suffolk (with the black head in the picture) is the most popular breed in the U.S. partly because the lambs grow very fast. 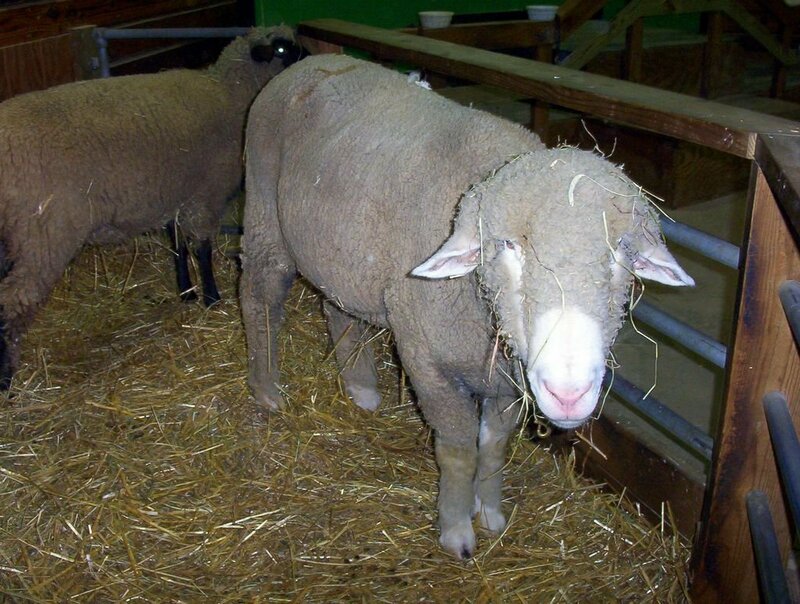 Rambouillet is a sheep of giant proportions, "Rambo"-like. 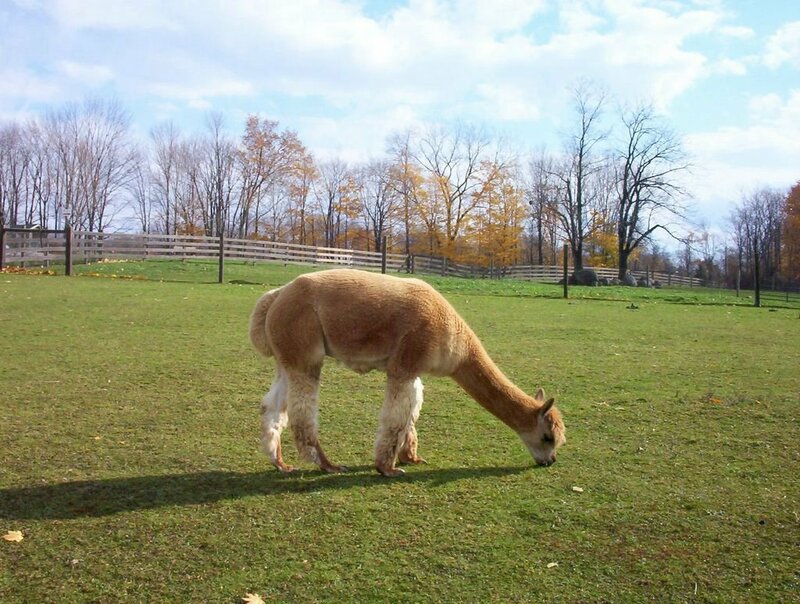 It is one if the biggest breeds and also has one of the longest life spans for a sheep. 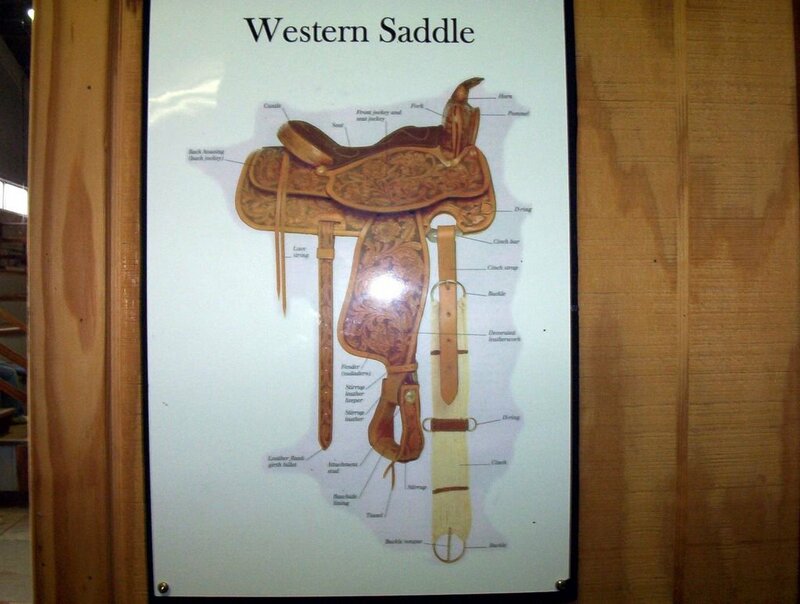 There are several horses on the farm and you can also learn a lot about the different type of saddles. 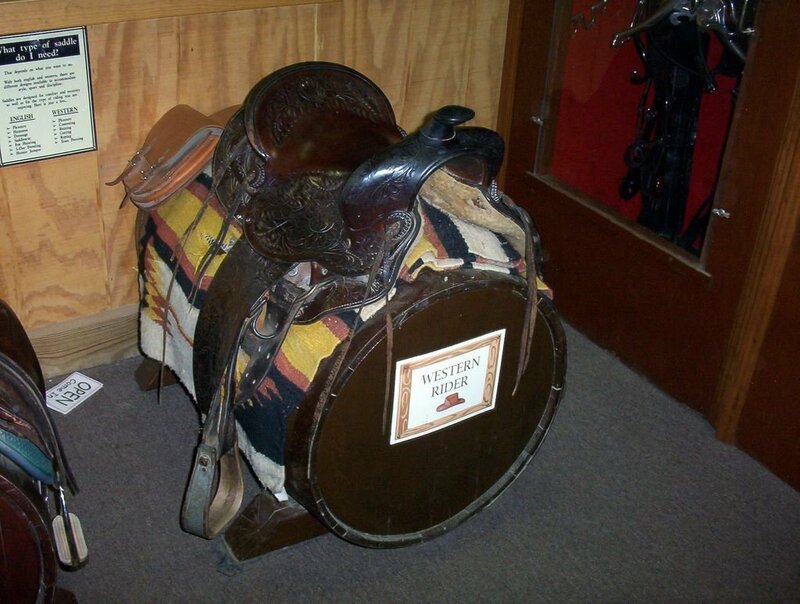 The two main saddles are English and Western. 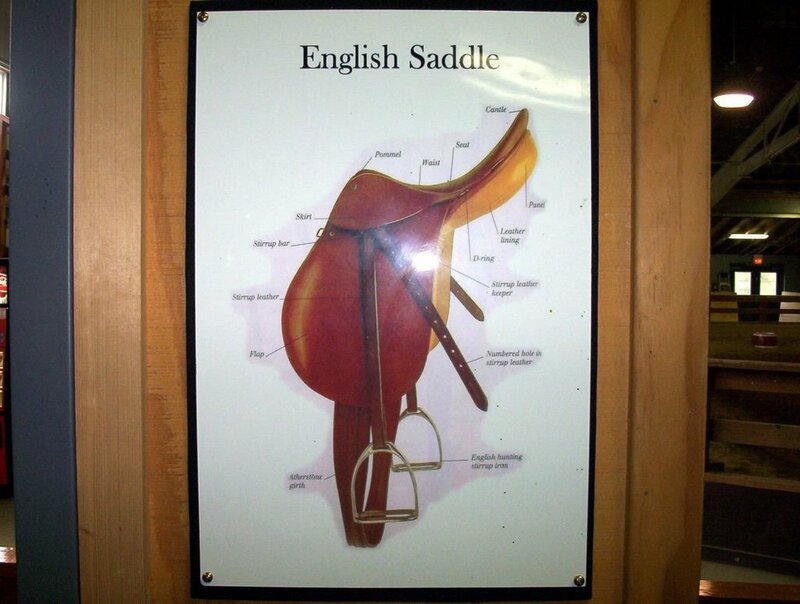 English saddles are smaller. 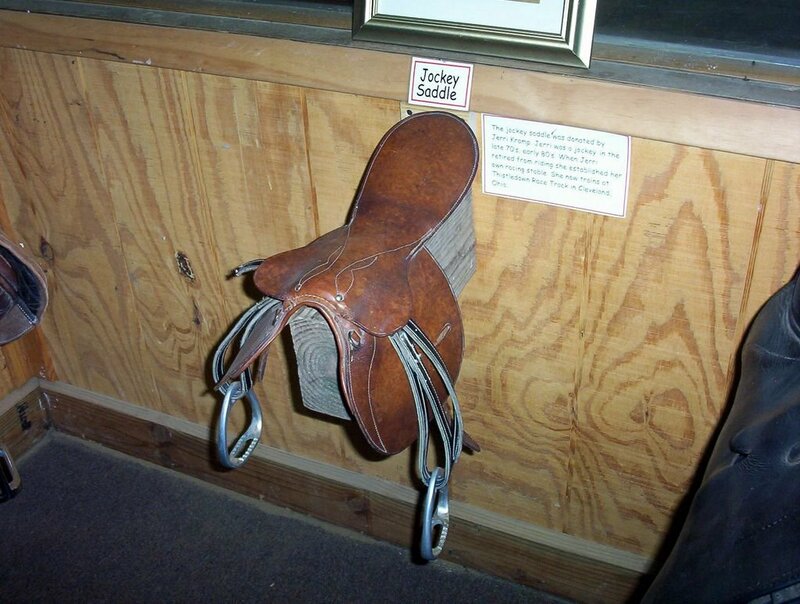 Western saddles, which are used by the cowboys, are bigger and have a horn at the top front portion. 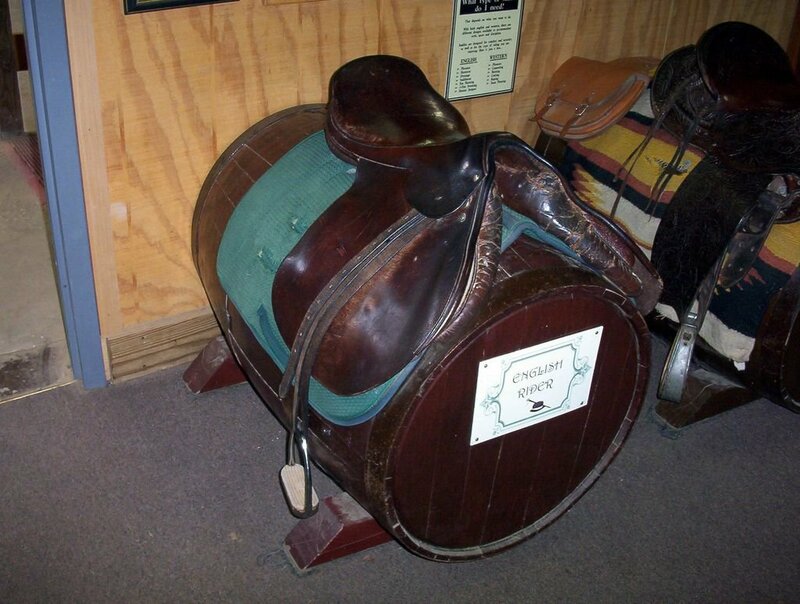 Joskey saddles (on the left) are ridiculously small, I wonder if jockeys ever sit on them when they ride. 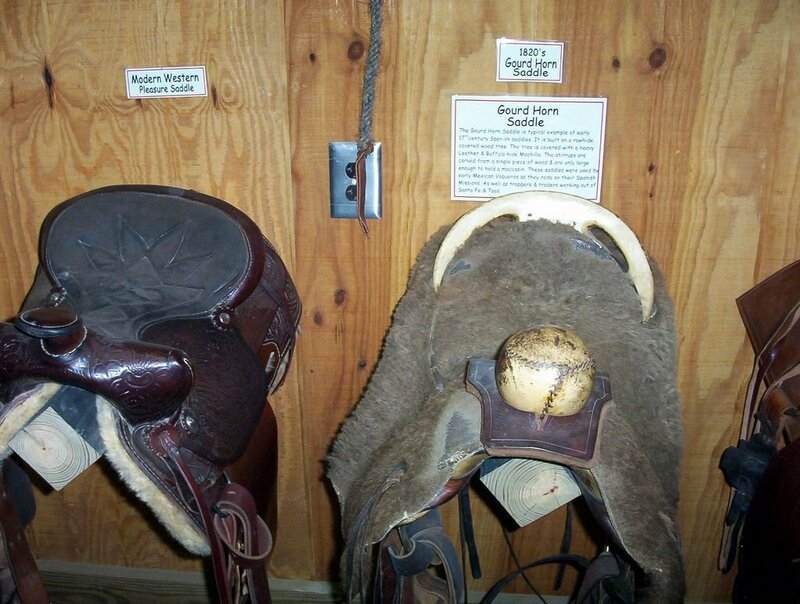 This Gourd Horn saddle (in the middle) looks rather rough with the lamb skin for upper coverage. 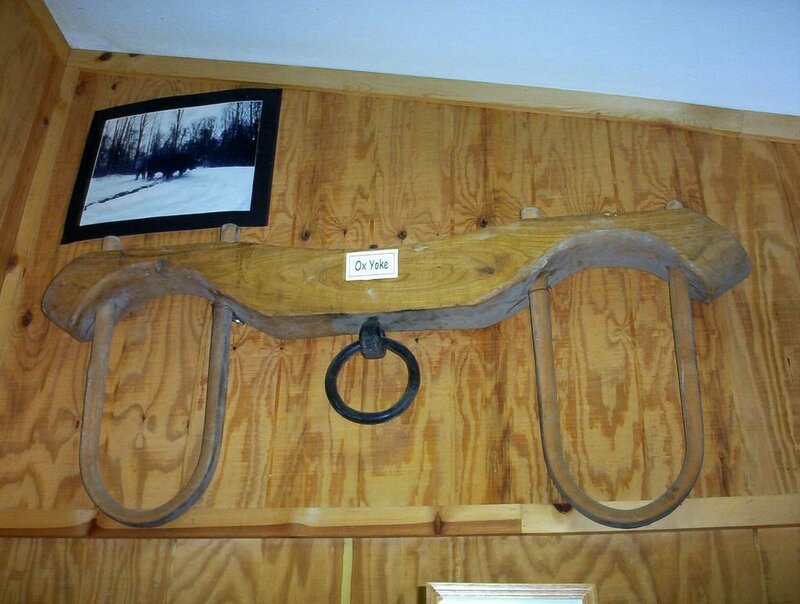 It was used by the early Spanish settlers in the West. 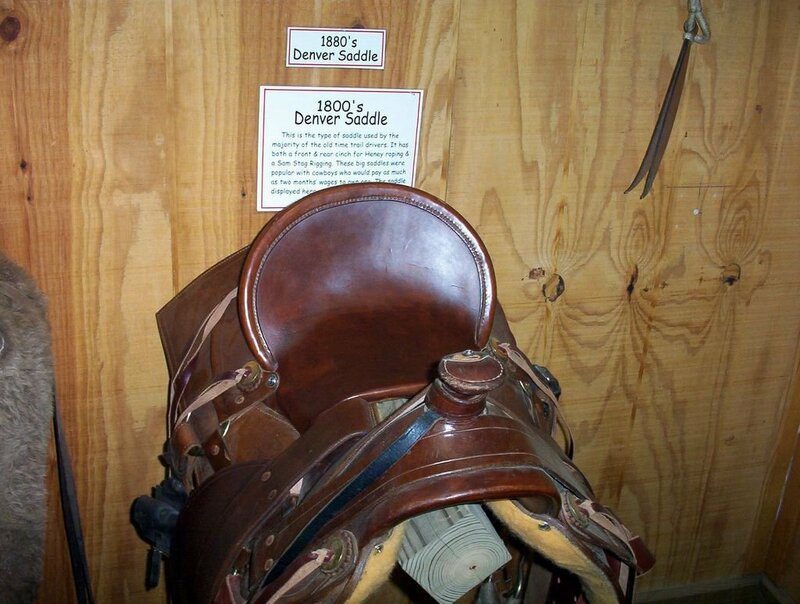 The Denver saddle (on the right) was very popular among the cowboys in the 1800's and they were willing to pay as much as their two-week salary for one of those huge saddles which weigh about 40 pounds each. 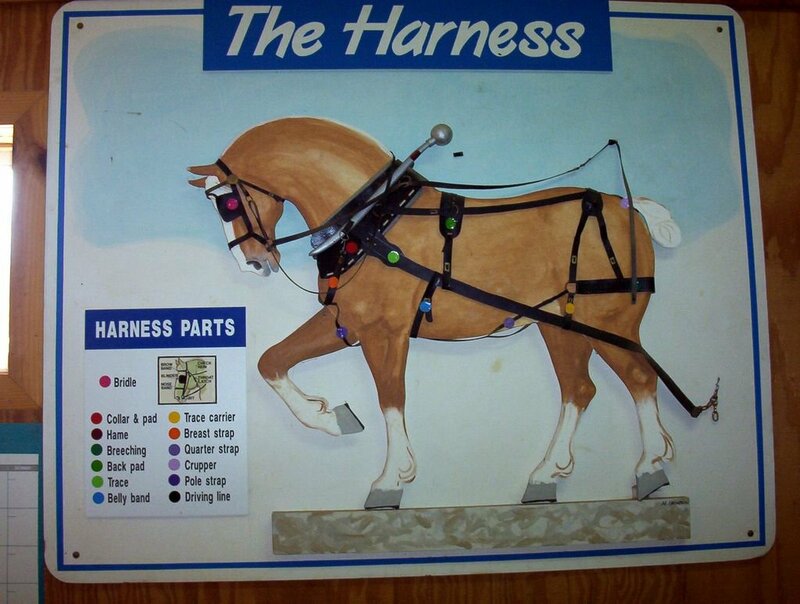 These are some harnesses used by horses and oxen. 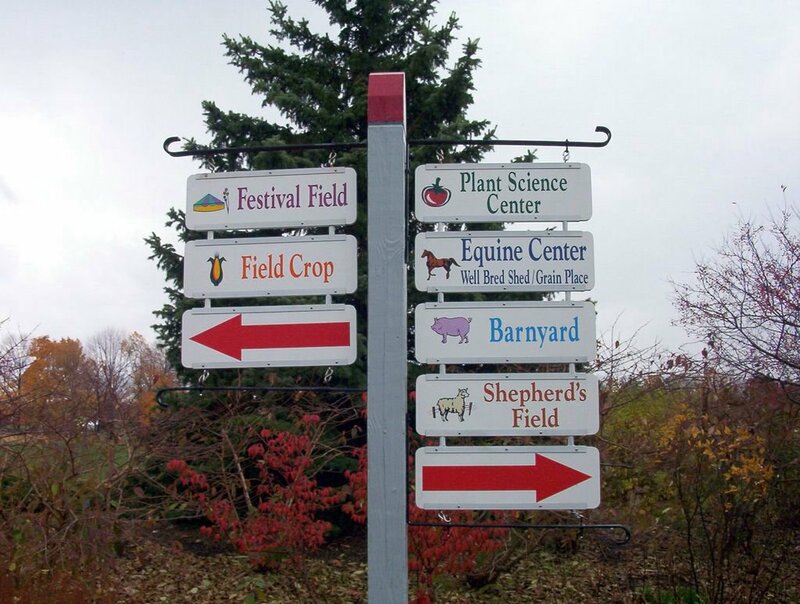 Let's take a walk around the farm. 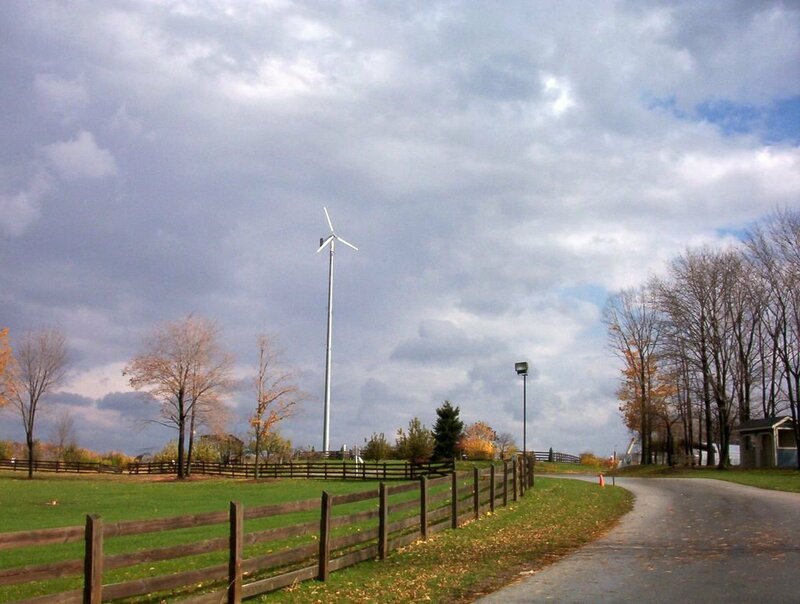 Electricity is produced from the wind by using this giant propeller. 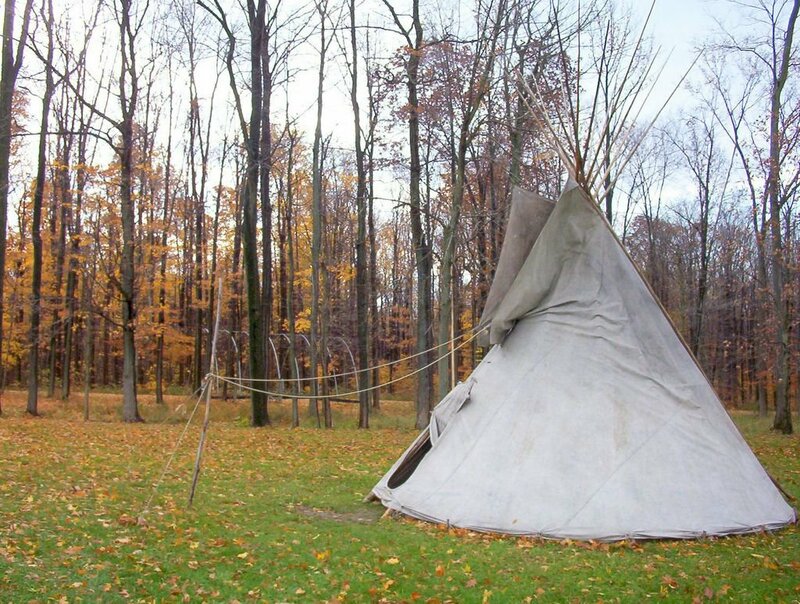 You can see what it is living in a tepee. 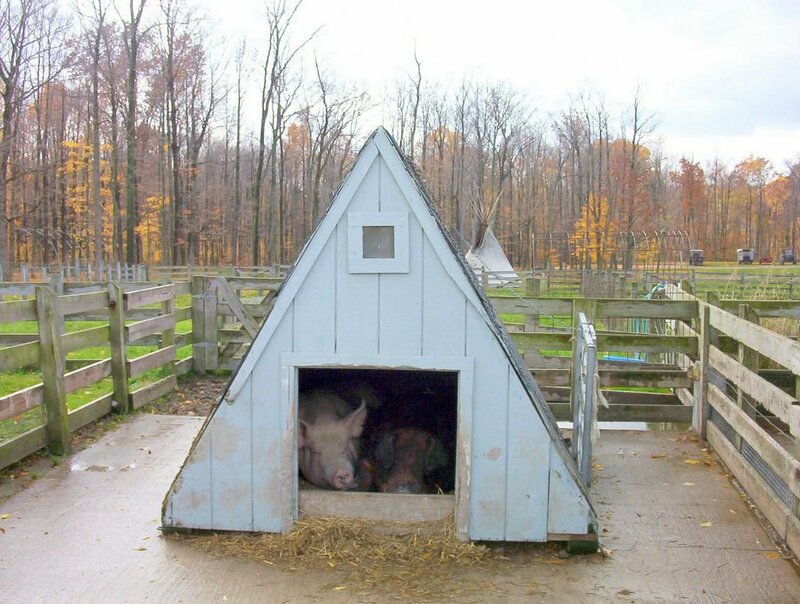 These pigs look quite comfortable in their mini-barn over there. 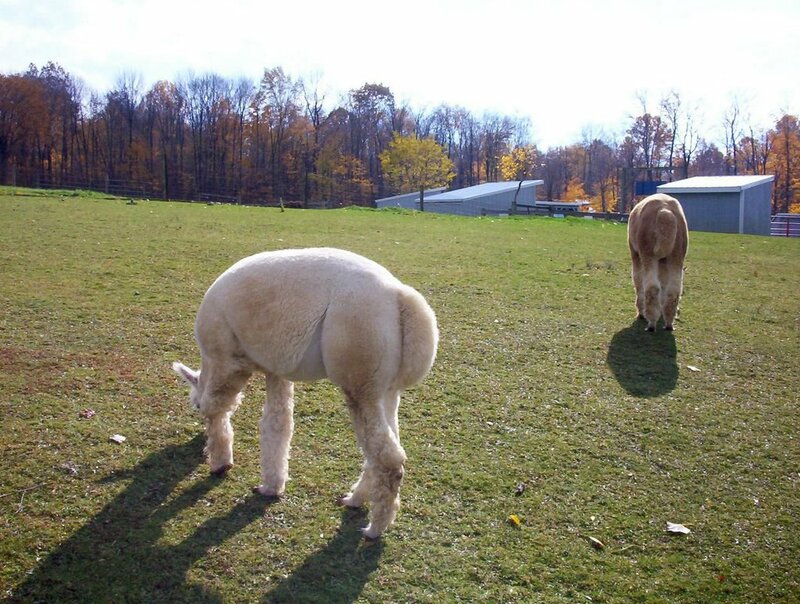 There also are some llamas on the farm. 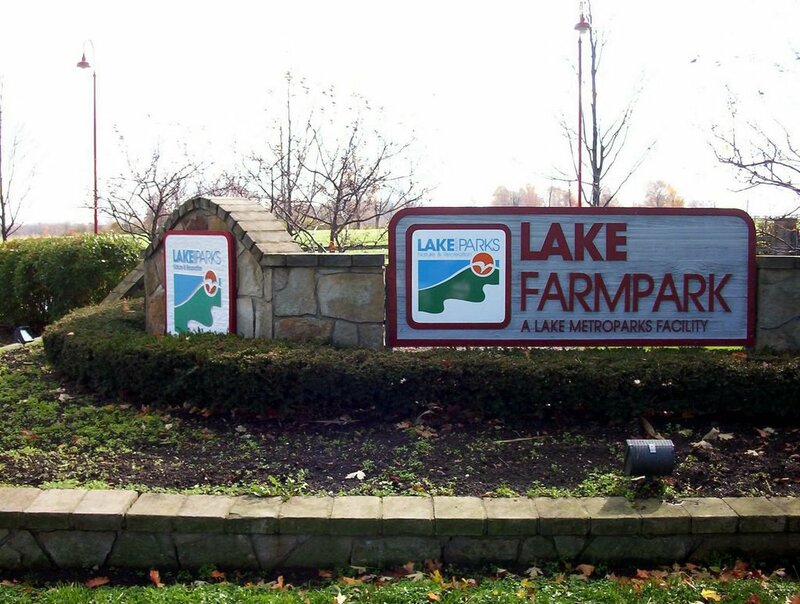 And that's all for a day at the Lake Farmpark. 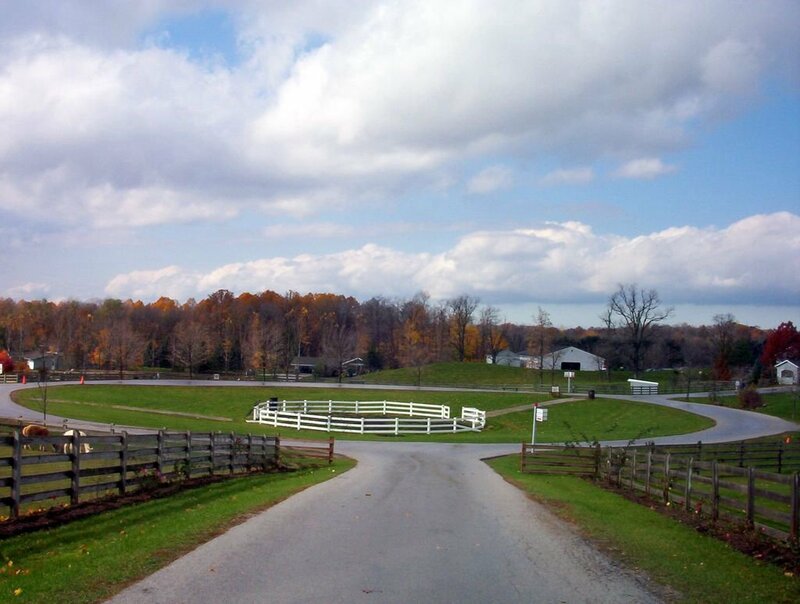 Farmpark, 8800 Chardon Road, Kirtland, Ohio 44094. 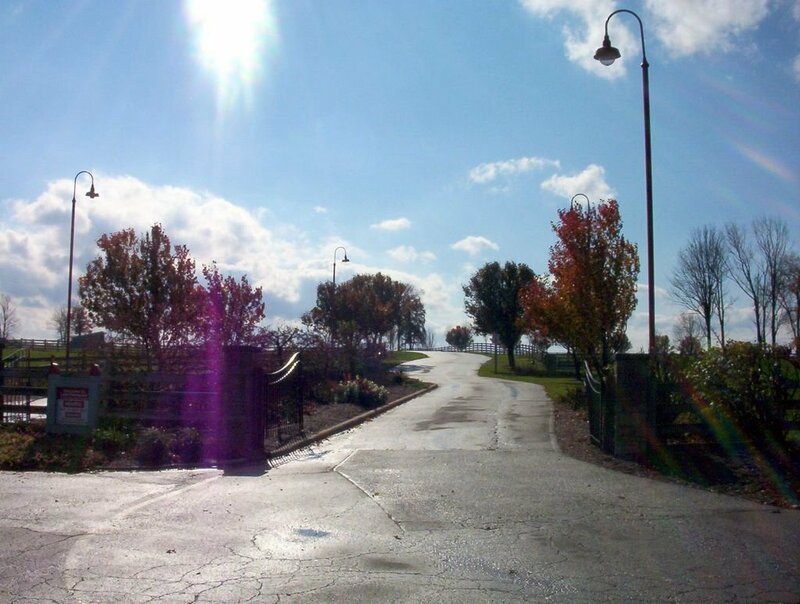 The Farmpark is very close to the Holden Arboretum. A Dying Breed: the African Ankole cow could disappear within 50 years. NYTimes, 01/2008. The Dairies Are Half-Pint, but the Flavor Isn’t. NYTimes, 02/2008. 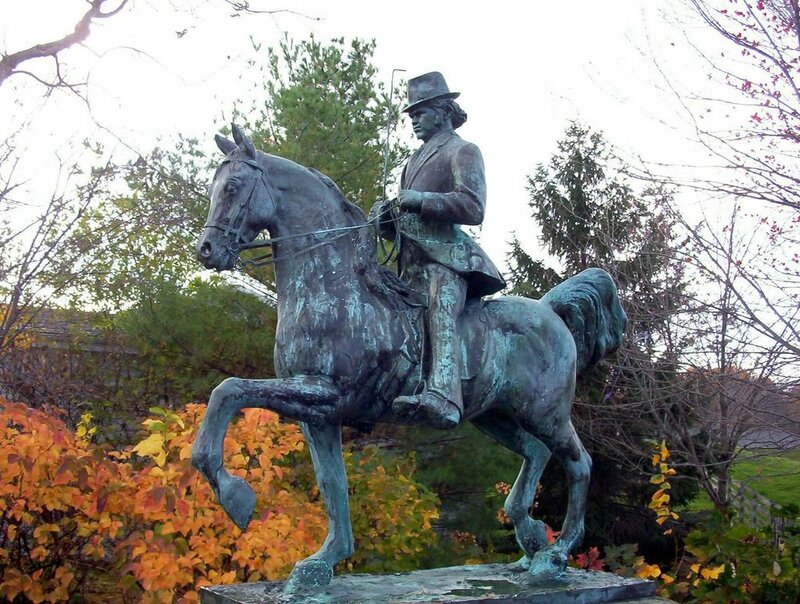 Several links in the text are from Wikipedia.